How can we promote economic growth in rural areas? What are your thoughts on EPA regulations? How do you see the coal industry impacted by continued environmental pressures? 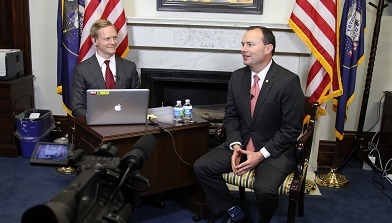 Utah Senator Mike Lee held this VideoForum to connect with the residents of Carbon, Grand, Emery and San Juan counties. He answered questions from participants and discussed issues such as the EPA, administrative bureaucrats having too much power, Rob Bishop's land bill, and funding for National Parks. He also spoke about how to strengthen the economy in rural areas, as well as discussing the coal industry and the effects that environmental pressures have on this industry.